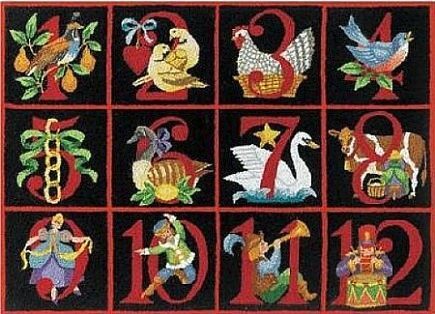 I would be remiss if I did not remind you of this beautiful celebration of the Twelve Days of Christmas….. When my husband and I first started our family we had lots of gifts under our tree. As our family grew the number really grew overwhelming and really meaningless; plus we wanted to do more than just Advent calendars and wreaths and then a pile of gifts on Christmas Day. 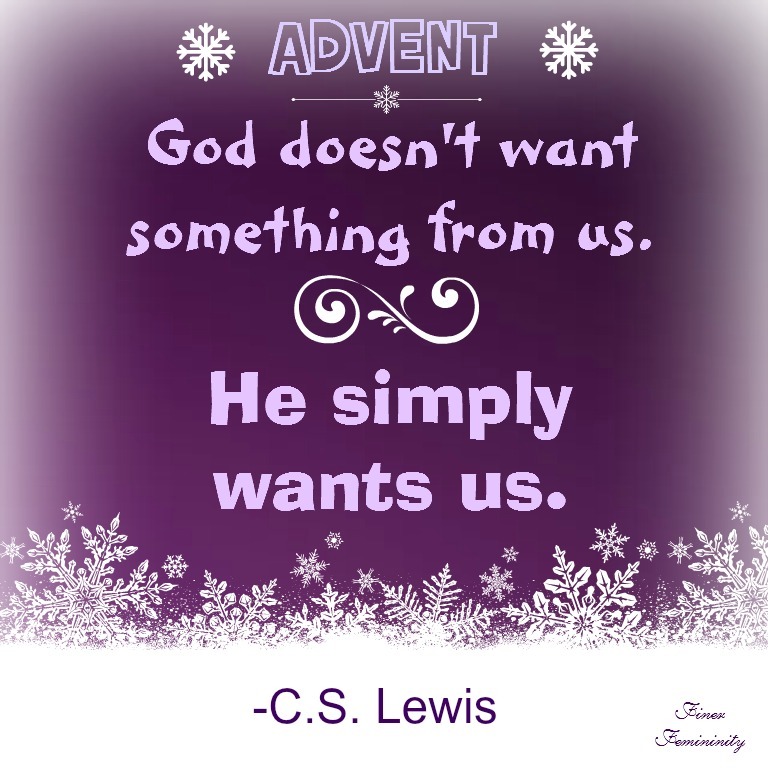 In the midst of feeling this way I came across a Catholic blog talking about how they celebrated the 12 days of Christmas. Nothing real detailed: just how they gave out little gifts each day instead of all of them on Christmas Day; spending that time as a family and enjoying each other’s company. So I started searching the internet, pulling together ideas and coming up with a new way; one focused on celebrating Christmas throughout the entire 12 days (through Epiphany) and also linking it to our deep Catholic culture and calendar. Christmas Day: the kids got to open the one individual gift we gave each of them, the few relative’s gifts and their stockings (if you do St. Nicholas Day then you would not do stockings, obviously!). We always make sure that even though we now have 9 kids, they each have something special from us. It didn’t need to be expensive, but one thing that they really would love. Dec. 26th: This is St. Stephen’s day. Traditionally, this was called “boxing day” because Catholics would gather together a box of items and donate them in honor of St. Stephen, who was known for his charity. So for this day I would wrap up an EMPTY box and the kids would gather together some “stuff” to give to a charitable organization. We talk about gratefulness and looking outside of ourselves to those who are in need of help. Dec. 27th: Last year we did “Ice Cream Sundae Day”. I had some neat toppings that we never have and a few types of ice cream. Not a huge focus on the saint of the day (St. John), but more of a fun family activity. I wrapped up 4 different toppings and some cherries in the box. Their guesses of what this day was about were quite cute. Dec. 29th: Feast of the Holy Family. We did a “coloring” day. I wrapped up some neat, detailed coloring books from Dover. We wanted to focus on peaceful activities and this was one. We made a point to spend much of the day coloring with them and they really enjoyed doing it with us. Dec. 30th: One of our many December birthdays. So we kept it simple: we boxed up some wall decals as a family gift and the kids enjoyed decorating walls and sharing/trading different stickers among themselves. Dec. 31st: Today we boxed up a movie and popcorn. The kids had never seen The Hobbit so they were super excited to see that in there. I didn’t just want it to be media; so we also made popcorn balls out of the popcorn and then enjoyed them with our movie that evening. Jan. 1st: Mary Mother of God. Since today was a Holy Day, I made a feast and labeled it “tidbit day”. We made a lot of little things: olives, cheese, salami, a punch bowl, little crackers, cookies and veggies. We found some unusual items in the international aisle of the grocery store. The kids drank their punch out of fancy glasses and we had little plates. I wrapped up hand-made name tags for the kids, a Christmasy candle for the centerpiece and candy cane napkins. Jan. 2nd: Feast of St. Basil and Gregory, who were good friends. In honor of that I wrote little thank-yous to all of the kids, telling them how much I appreciated different things about them. I also put notebook paper in the box so they could write to each other. Then at the dinner table we read them aloud to each other and talked about true friendship and how to choose friends wisely, how to be a good friend, etc… We also made a point to pray the 2nd Joyful mystery of the rosary when Mary visited Elizabeth. Jan. 3rd: My husband went back to work this day so we kept it simple and wrapped up a new board game and called it “Board Game Night”. But it’s also the Most Holy Name of Jesus, so it would be nice to incorporate that somehow. Jan. 4th: Another birthday here. It’s also St. Elizabeth Ann Seton’s feast day. I had wrapped up the apple cider spices and a couple of books we haven’t read in a while that the kids enjoy. We did “Apple Cider” night and made some popcorn & apple cider. We turned on the fireplace and read a couple of new stories. Jan. 5th: Our gift exchange day. We give each of the kids a few dollars and each picks a sibling or parent’s name out of a hat. We then go in and go shopping; we split the kids between us in such a way so they don’t see their own gifts they are going to receive. I find that when they are allowed to buy each other gifts they get MORE joy out of giving than receiving. I think it’s important for the kids to learn this at a young age, and to think about what their sibling wants, not what they want. The younger ones need help from me in this department. 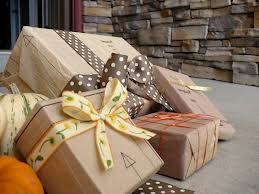  We did the shopping ahead of time but I think it would be neat to make today’s box a hat with names in it. Then we shop, come home and wrap, and then that evening we open up all the gifts. It wasn’t practical for us at the time; so we shop ahead and then put all the gifts in one big box for the day’s opening. Jan. 6th: Epiphany! Today I wrapped up some Christmas Carols I printed out. We sang Christmas Carols to Jesus and moved the Three Kings so they finally found Baby Jesus. This year we also want to actually PICK UP the blessed chalk from Mass and do the house blessing with it as well! Every year is going to be different, but the idea behind it is to spend time as a family, teach the kids virtues, and really just focus on celebrating Christmas together with fun activities with more of a focus on Christ and the traditions of the Church. As the years go by I plan on trying to incorporate each feast day with our activity of the day, but that will come with time. Some other ideas I had that I didn’t use yet but may this year: White Elephant Day (wrap something totally silly, could be combined with St. Stephen’s Day); go to a park, sledding or ice skating depending on weather; Card game night; Make a blanket fort and read a story day; scavenger hunt day; game day with musical chairs and like games. I would love to hear more ideas!! I can’t remember the rest right now, I will update when my memory works again. This is wonderful! Thank you Linda! May I include these at the bottom of the post? Thank you for the ideas, a lovely post! We do this, too! It is such a lovely, fun-filled tradition to do as a family. Some other ideas we have done include: making homemade marshmallows and hot cocoa to enjoy together in the evening, making homemade crystal Christmas ornaments to adorn our Christmas tree (pipe cleaners twisted into different shapes and soaked in in borax and water solution, that turned out so pretty), this year we made preemie-sized baby booties to deliver to our NICU on the feast of the Holy Innocents, a new-to-us Christmas piano book with many traditional Christmas carols to be sung and played together. I always enjoy how much this continues the spirit of Christmas in our house! Thank you for sharing! Thank you Jennifer! What wonderful ideas!